Description: "Now, there are no limits℠" on back cover. 03-08-2019 tripredacus Description "Now, there are no limits?" on back cover. 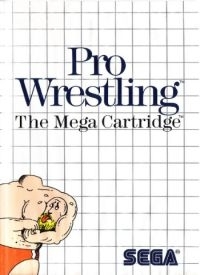 This is a list of VGCollect users who have Pro Wrestling (No Limits℠) in their Collection. This is a list of VGCollect users who have Pro Wrestling (No Limits℠) in their Sell List. This is a list of VGCollect users who have Pro Wrestling (No Limits℠) in their Wish List.